Good luck to our Leinster players this weekend, who have been selected to represent Ireland in the 5 Nations competition. Congratulations to the Leinster boys u13 and u15 teams who both bought the Interpros trophies from Waterford back to Leinster at the weekend. A great weekend of squash was had by all. Well done also to the u11 team and the girls u15 team who were both runners-up. This was the first time there were u11’s competing at the competition and going by the feedback, it won’t be the last. They were unlucky to lose to Munster 14/12 in the final game of the final match of the tie, and the atmosphere was electric! 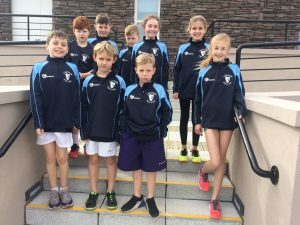 Congratulations to all players who have been chosen to represent Leinster Squash in the Interpros in Waterford this weekend. If they play as well as they look in their new Leinster kit, they’re going to do us very proud. Good luck! 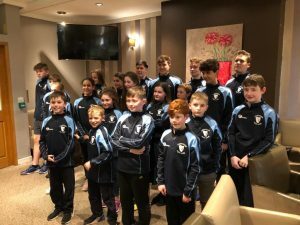 Well done to everyone who made the journey to Dublin last weekend, to compete in the LJO19. The fourth provincial open of the season, the Leinster Junior Open, takes place in Sutton on Friday 1st – Sunday 3rd February. Entry is via the Tournament Software website and closes at midnight, 23rd Jan. Unfortunately a second BJO title for Denis was just out of reach yesterday in Birmingham. Although he played well, the Malaysian seemed to get to everything that Denis threw at him.. and returned it with more. 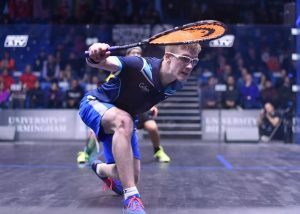 He did win a silver medal for his magnificent effort, and a mention on the RTÉ national news on TV and web, and the large crowd that had made the trip over to support, although disappointed for him, were treated to some great squash throughout the day. Well done to all Leinster players. They can all be very proud of themselves. Their results proved that Ireland is still a hot-bed of talent and a force to be reckoned with. 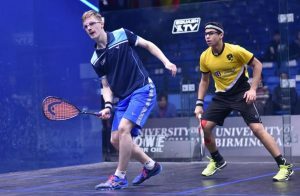 For the second time in his squash career, Mount Pleasant‘s Denis Gilevskiy has made it though to a final of the British Junior Open. Although his form has been exemplary this week, he hasn’t had it all his own way having to overcome tough opposition from Malaysia in the quarter-final and Egypt in the semi-final. He now plays Malaysia’s Ameeshenraj Chandaran for the BU15 title. 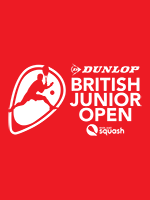 It’s being streamed online at https://britishjunioropen.com/watch (UOB Glass court) at 12.20 and all virtual support is welcome! This years Leinster Senior Closed competition takes place in Sutton LTC on 11th-13th January. Entry closes this Sunday at midnight and there are categories for all standards of Leinster-based players. Sign up on the Tournament Software website.